These presentation slides 45074 are complete compatible with Google Slides. Simple download PPTX and open the template in Google Slides. 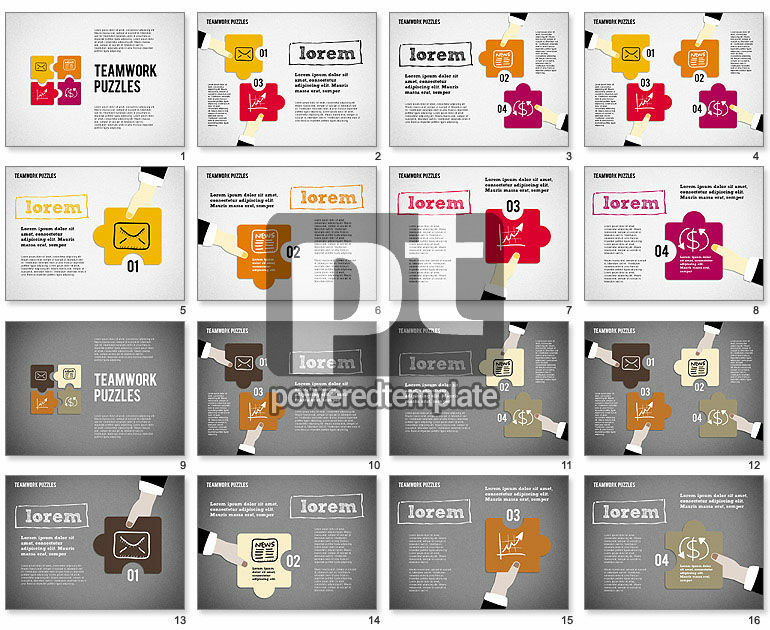 Enjoy this stunning puzzle template, where you can put any kind of information. Due to its multifunctional stylistics, modern puzzle icons and bright colors, it will look perfectly for any kind of presentations in various spheres of life: education, networking, business, media, culture, social network and so on. Also it may be used for team projects, teamwork concepts and company presentations.